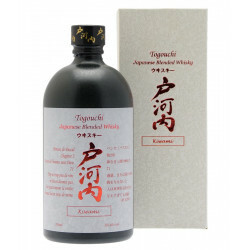 Kiwami is the "Ultimate" of Togouchi, skillful master of Japanese blended whiskies. 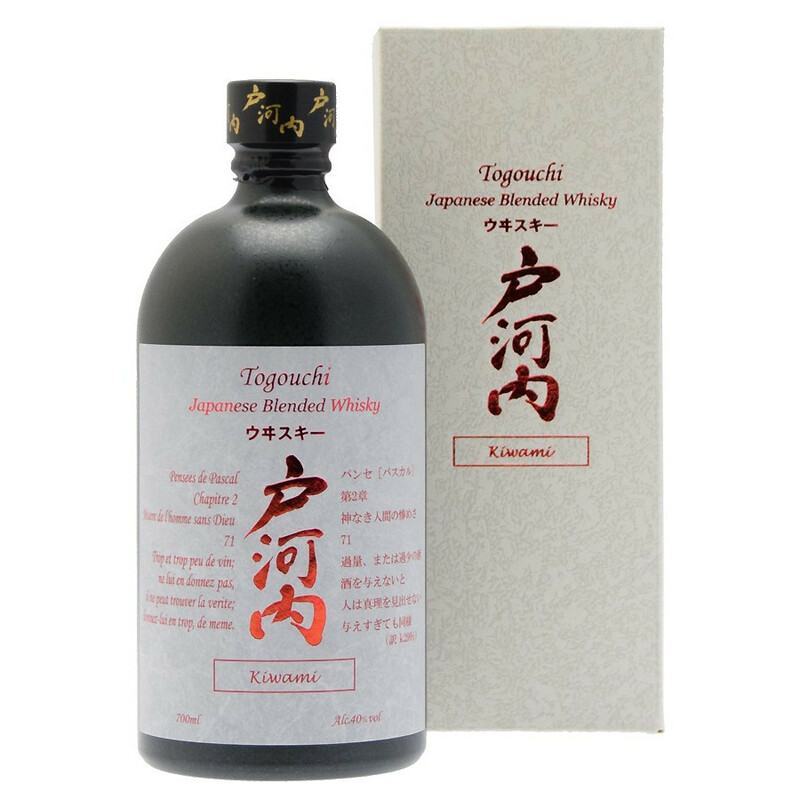 Kiwami Togouchi, is the "Ultimate" of Togouchi, and results from a unique combination of Japanase malt and grain whiskies, delivering an exceptional whisky. Togouchi stands-out with a masterful art of blending, inspired to a great extent from Scottish traditionnal techniques. Togouchi ages the whisky in tunnels located in the town of Togouchi, dug in 1970, of 361 meters length, and offering perfect maturation conditions (steady temperatures maintained at 14°C, steady hydrometry of 80%). Moreover, Togouchi selects the best quality water, drawn from the Sandankyo moutain range. Togouchi Kiwami is a greatly refined blend, with sweet notes of nuts and hazelnuts, lifted with a spicy hint. Togouchi whisky is produced by the Chugoku Jozo distillery. Founded in 1918 at the heart of a mountainous region, nor far from Hiroshima, Chugoku Jozo first produced sake and shochu and then turned to whisky ageing and blending when it developed into the Empire of the Rising Sun. Malt and grain whiskies entering the composition of Togouchi come from Canada and Scotland. The distillery operates the ageing, blending and bottling processes in Japan. The Togouchi range is aged in a unique area, at the heart of the mountainous region of West Chugoku. Casks are stocked in a 387 meters long tunnel, carved in the 1970’s. The interior stays at a steady temperature of 14°C all year long, making that tunnel an ideal location to age whiskies. Fresh spring water fetched at the heart of the mountains of the Sandankyo natural park is used to dilute whisky for the bottling. The history of Japanese whisky starts with Masataka Taketsuru, who spent two years in Scotland after World War II to learn the art of distilling. On his return, Shijiro Torii, founder of Suntory, relies on his knowledge to build the Yamazaki distillery in 1924. Taketsuru takes off and establishes his own company, Nikka. Whisky production really boomed after the Second World War, when the Japanese started to enjoy whisky. Nose: lively and elegant, Togouchi Kiwami reveal notes of nuts and fresh herbs. Palate: quite distinguished, opens on a characteristic sweetness of hazelnut and chocolate, lifted with honeyed notes of pepper. Finish: spicy with nutmeg flavours.